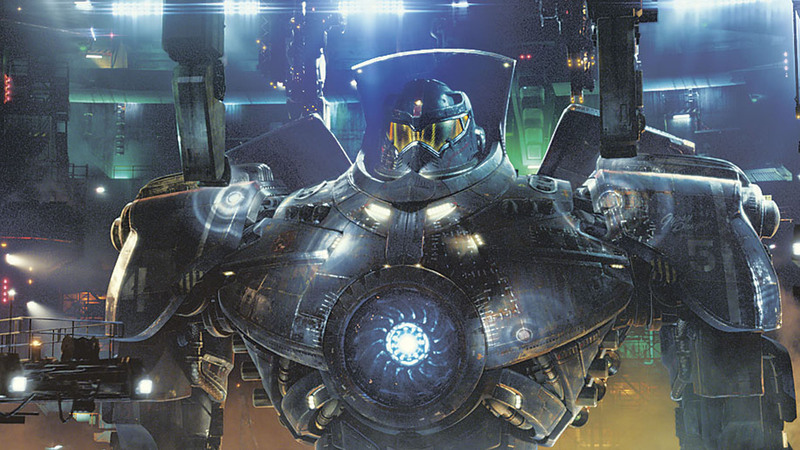 Transforming pop culture: Giant robots, such as those in Guillermo del Toro's blockbuster "Pacific Rim" (above), have been big in Japan for decades. My name is Matt, and I have a problem: I’m a grown man who thinks way too much about giant robots. Actually, I’m just kidding — it isn’t a problem at all. Japanese robots literally changed the course of my life. 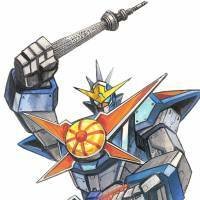 Without robot anime, manga and toys, I wouldn’t be speaking Japanese or even living in Tokyo. I wasn’t alone in my childhood fascination with giant robots, as is apparent when looking at Hollywood blockbusters by directors Guillermo del Toro (the current hit “Pacific Rim,” which Japan Times film writer Giovanni Fazio reviewed last week) and Michael Bay (the “Transformers” film series). But every Japanese toy I managed to get my little hands on fueled a smoldering realization that somewhere far away from my native Maryland was a nation of people who thought robots were as cool as I did. In spite of decades of economic stagnation and shrinking market share for its products abroad, Japan still retains its mystique as a technological wonderland. Robots play no small part in this phenomenon. Alongside all the cameras, televisions, Walkmans and other baubles of the bubble era, legions of high-tech robot heroes flooded American shelves and airwaves. 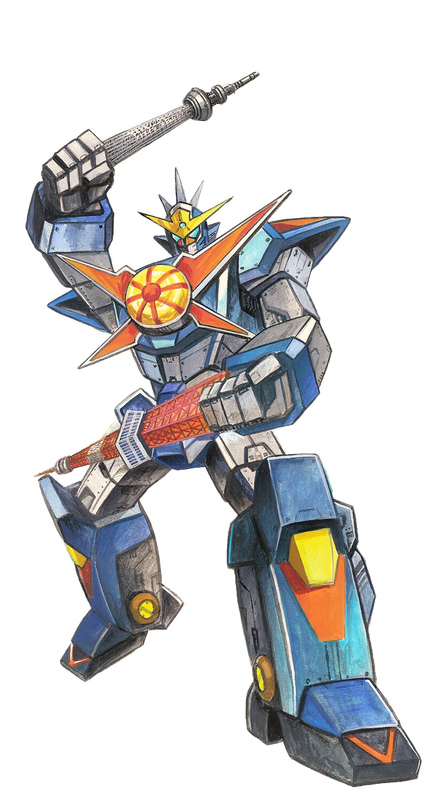 But how, exactly, did giant robots come to be synonymous with Japanese pop culture? Anime director Shinji Aramaki, who designed transforming vehicles for the 1980s “Transformers” and “Robotech” series, believes they represent a natural flip side to Japan’s obsession with miniaturization. Don’t get confused, though. There’s nothing specifically Buddhist about Japanese robots. More important are Japan’s polytheistic, animistic roots, in which anything, even inanimate objects, can possess a soul. Japanese folklore abounds with examples of anthropomorphic objects and natural phenomena. Alongside them can be found a whole menagerie of shape-shifting creatures such as foxes and tanuki (raccoon dogs), capable of transforming themselves from animals into nearly any form the human mind can conceive. Collectively called yōkai, they represent the first examples of what we now call “character culture” today. At their heart, robots are a symbol for technology. Japan’s fascination with foreign technologies can arguably be traced back to the importation of bronze-making techniques and kanji characters from the Chinese mainland, but it really kicked into high gear when U.S. Naval Commodore Matthew C. Perry appeared uncomfortably close to Edo (present-day Tokyo) in 1852, commanding a then very high-tech fleet of steam-powered warships. Japan had been shut off from the outside world for well over two centuries, and the so-called Black Ships’ sudden arrival was every bit as shocking to the feudal Japanese as a UFO over Washington, D.C., would be to modern-day Americans. From “War of the Worlds” and “The Day the Earth Stood Still” to “Independence Day” and “Battlestar Galactica,” high-tech alien invaders have been a constant theme in American entertainment. But Japan actually grappled with such existential threats firsthand. Putting it another way, you could say Japan has been living in a science-fiction world since the day Perry first appeared. The humiliation of realizing how far they’d fallen behind fueled a race to modernize. Within less than a century, Japan would manage to defeat a Western power at sea in the 1904-05 Russo-Japanese War and be defeated itself in 1945 by an unfathomably powerful new weapon in World War II. Success and failure, life and death, all of it riding on whoever possessed the better scientists and engineers. Robots came to the literal rescue when Japan began rebuilding its shattered infrastructure in the late 1940s and early ’50s. Retooling what had been weapons factories into toy factories turned out to be a quick way to jump-start the economy. Tin robot toys, the earliest made out of cans discarded by the Occupation forces, represented some of Japan’s first exports abroad after the end of the war. In fact, the toys are the real key to understanding Japan’s robot obsession. The great majority of classic robot characters from the 1970s and ’80s were the brainchildren of toy companies. Toy companies paid anime studios to create television shows, then paid TV stations for the airtime and the right to air advertisements during the shows. The first and most influential, “Mazinger Z,” debuted in 1972 to instant success. This marketing gambit proved so profitable that dozens of companies leapt into the fray. (It’s actually illegal in the U.S., where the Federal Communications Commission specifically prohibits advertisers from airing ads for a show’s merchandise during the show itself.) By 1977, no fewer than 12 different giant-robot shows aired on Japanese TV every single week, glorious robot-on-robot action matched only by the glorious ads for the toys the shows were created to hawk in the first place. 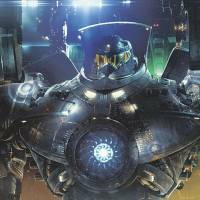 So far, more than 100 series featuring giant robots have been produced. Just as the Cold War arms race gave the Americans and Soviets a leg up on space technologies, Japan’s domestic “robot arms race” of the ’70s allowed it to hone robot designs that would literally conquer the world — or at least win the hearts and minds of the world’s children. Children who, over the decades, have grown up into robot-obsessed adults like del Toro and Bay. “Pacific Rim” is playing in cinemas nationwide. For more information, visit www.pacificrimmovie.com.